JK Russ, Anthony Behrens, Mark Rayner, Matthew Couper, Rosalie Gwilliam, Maiangi Waitai, Ben Pearce, Peter Ireland, Mark Braunias, Paul Rayner, Paul Maseyk, and Andrea Gardner. 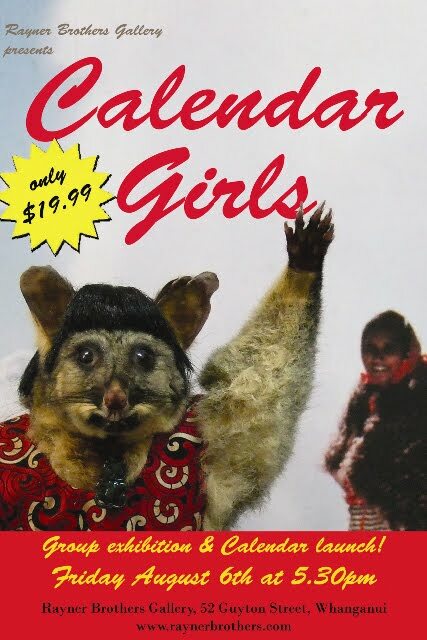 The limited edition calendar is only (NZD)$19.99 - so get your copy A.S.A.P. It's going to be disappointing not to be able to make it to the opening, but I can't wait to see what the other artists have come up with. My calendar girl (Miss April) can be seen here, all framed up ready for the exhibition. I'll post some installation shots once I get some via email. First day in Las Vegas - we got here late last night and from previous experience living here, we'll need a couple of days to acclimatize to the weather. I'm going to get to an Aaron Brothers framing shop and take advantage of their two-for-the-price-of-one framing deal for the small drawings I've been doing. 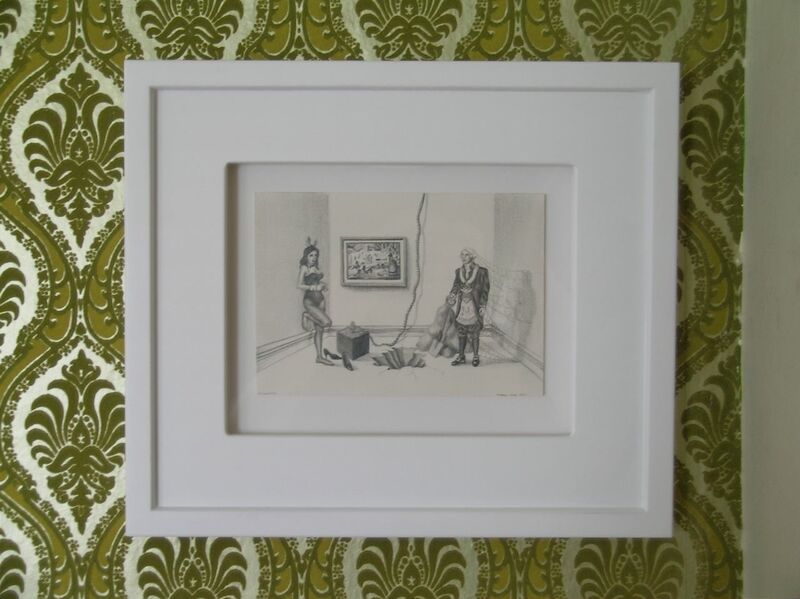 I want to use the same moulding as in the image below - it's called Nantucket and is a gesso-surfaced, black or white, step-frame and I'll be float-mounting the drawings, as the step-recession lends itself to acting like a matte. 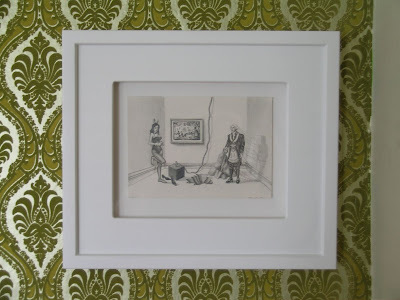 I've now framed two drawings with this moulding and am really happy with it - one is the Morris Graves portrait that will be exhibited in Seattle for a month over August and also New Cornerstone that is now in a private collection in Berkeley, CA.